The Kharkiv region received almost 200 thousand doses of vaccine against poliomyelitis, announced the Head of the Department of Health of Kharkiv Regional State Administration, Alexander Galatsan. According to him, 33,200 doses of inactivated polio vaccine IMOVAX_POLIO 10F_10D_VVM XFAE INT were delivered by the Ministry of Healthcare of Ukraine. 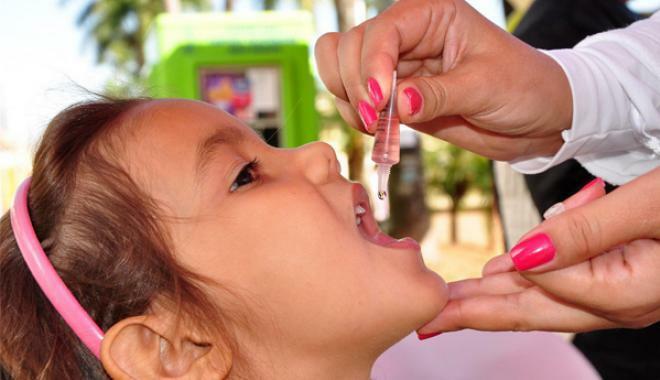 Another party of 154,500 doses of oral vaccine for prophylactic use against poliomyelitis, was received from the UNICEF in Ukraine as humanitarian aid. “Moreover, we have oddments of 172 doses of the inactivated vaccine “Pentaxim” and 3 doses of “Infanrix + NNH” vaccine. Therefore, today we can proceed with full-scale vaccination”, said Alexander Galatsan. However, the level of children immunization against polio in Kharkiv region is very low at the moment. For example, only 11.5% of one-year-old children are vaccinated, 44% – at the age of 18 months, 31% – children older than two years, 26.5% – at the age of six, 24.6% – at the age of 14. Back in September, the Kharkiv Regional State Administration reported about a catastrophic shortage of vaccine. Recall, the Ministry of Healthcare launched a large-scale campaign to vaccinate children against polio. Firstly, all children up to 6 years will be inoculated (even those who have previously been vaccinated), and then, if the stocks of vaccine are enough, schoolchildren up to 14 years will be inoculated as well. The Ministry of Healthcare launched this campaign when, for the first time in 19 years, two cases of children paralysis occured, which was the result of polio outbreak detected in Transcarpathia.